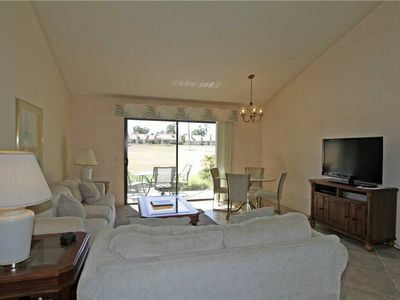 Fully furnished, ready to move in! 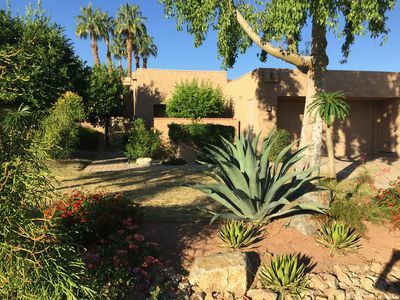 Gated Community, two Master Suites plus guest room; 4 bathrooms; alarm system; two patios with mountain views. 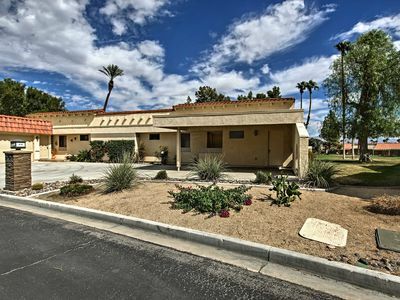 Fireplace, wet bar, full den, formal dining room with French Door access to courtyard and kitchen with casual dining area; walk through two car garage with access via utility room [with washer/dryer] to house. 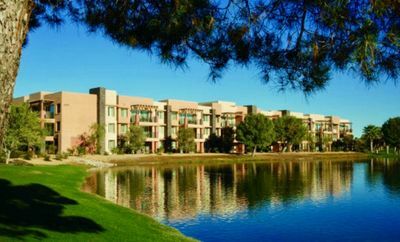 Walk to the Westin Mission Hills Hotel. 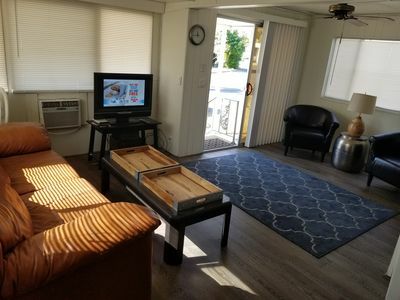 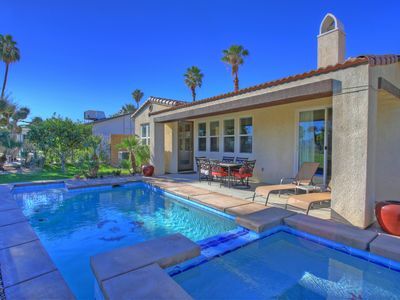 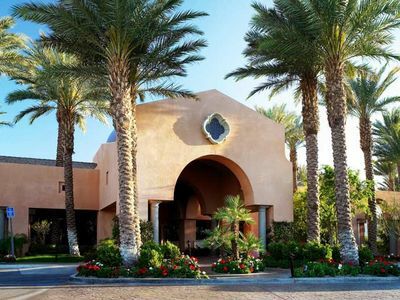 Centrally located in Coachella Valley in beautiful Rancho Mirage which places you close to any of the many attractions offered in the area. 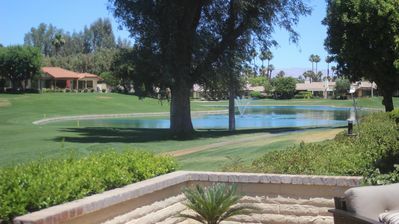 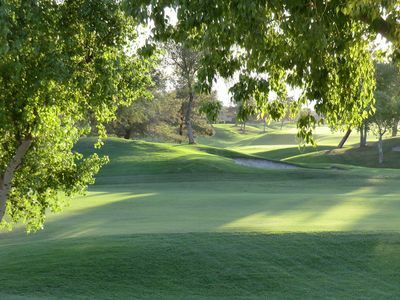 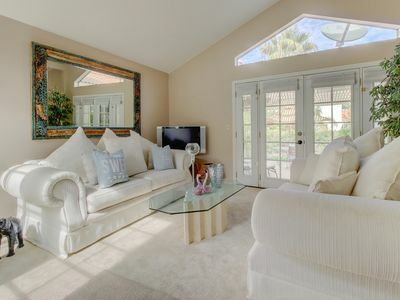 Luxury Palm Desert Condo w/Patio on Golf Course! 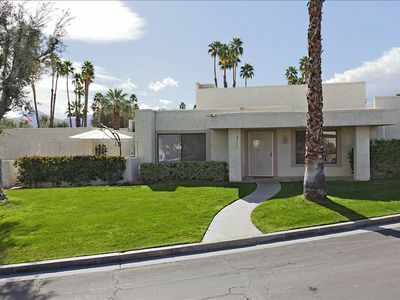 Comfortable, modern house in a gated community w/ shared pool & hot tub!